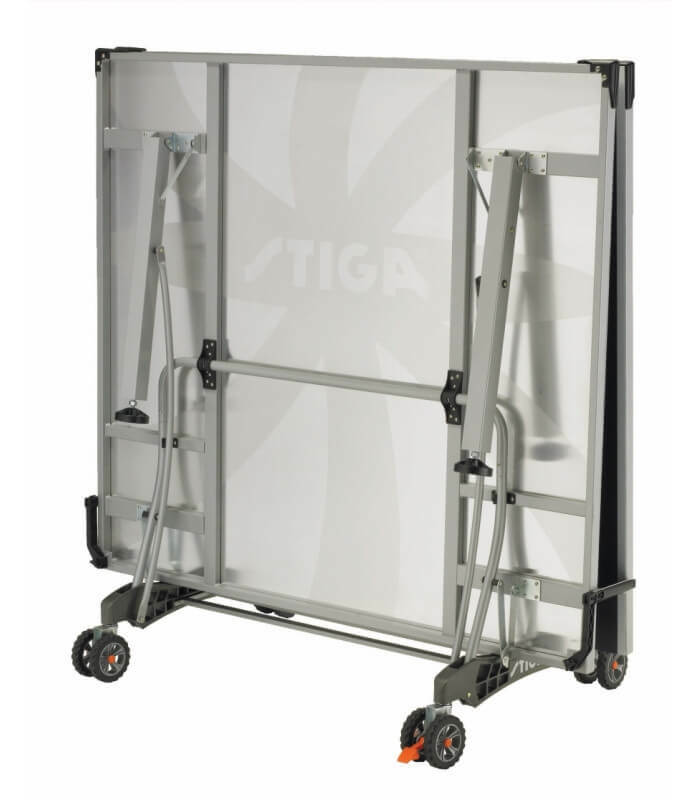 The Stiga (pronounced Steega) Baja T8562w is a mid-level outdoor table from an established brand. So let's take a closer look at all aspects of this table so that you can decide whether the Baja T8562w is the right table for you. 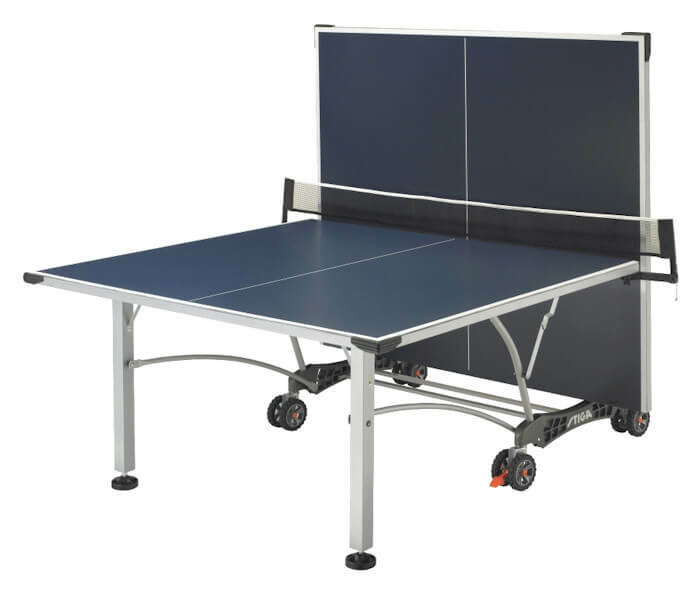 This table has a heavy-duty welded steel apron and undercarriage underneath the playing surface. This helps support the playing surface and reduce the opportunity for the playing surface to warp easily. When you need to move the table (usually in its storage position) there are 4 sets of double wheels on the center section. They are 5 inch all-terrain, double wheels with locks. 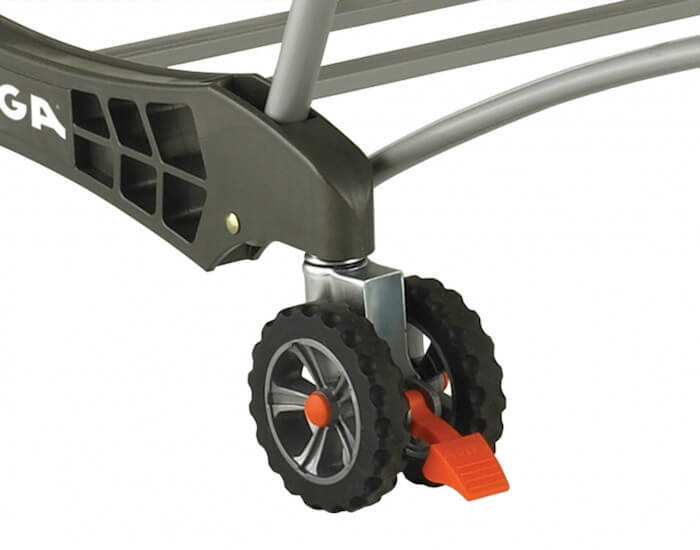 In addition to the centre section which has 8 five-inch all-terrain wheels with locks, the four corner legs are as shown here. 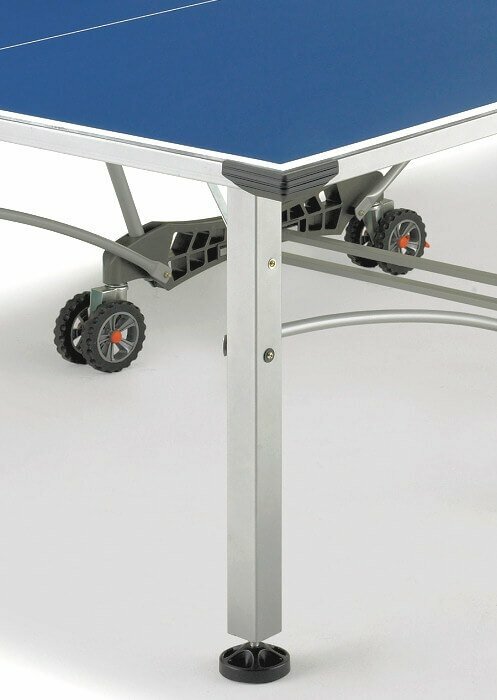 These legs are adjustable so if you have an uneven floor, you can adjust the legs to ensure that the table is level. The net supplied with this table does meet those requirements, but it's a basic integrated pivoting, all-weather net and post set. This is suitable for recreational play, but you may want to upgrade it at a later date. This table requires home assembly. Two people will be needed to assemble this table, although three people may be required for certain tasks. 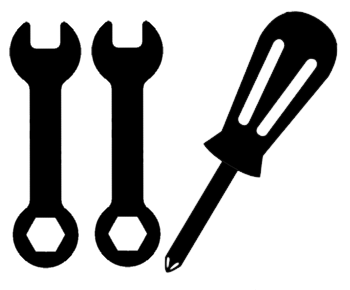 You'll also need a Phillips screwdriver, adjustable wrenches and a rubber hammer. The table top is in two halves, with each half measuring 4 feet 6 inches long by 5 feet wide. The manufacturer's assembly instructions are included here. It's a pdf document which is 12 pages long and you can download it now. 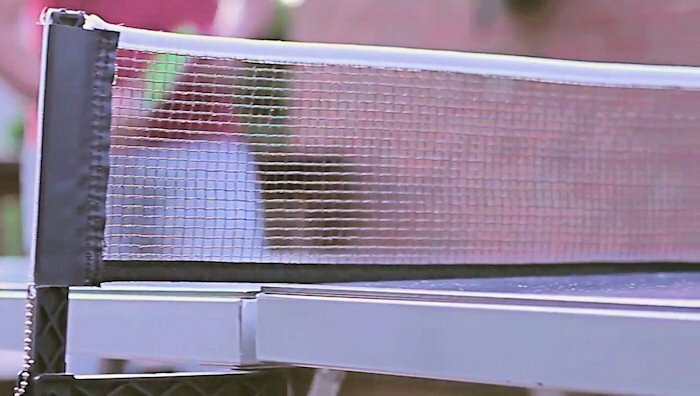 Who is this Stiga Baja T8562w Outdoor Table Tennis Table for? This table is primarily intended for light outdoor use at home. You could also use it in an unheated garage or any indoor space where the temperature fluctuates. This table is designed for outdoor use so it should be able to withstand being left permanently outdoors, although you may want to buy a cover. If you want an outdoor table for light home use, this would be a suitable choice. 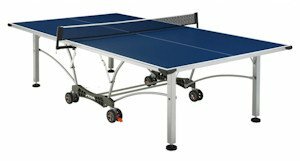 This table does not have a playing surface made of wood, so it cannot be an "authorised" ITTF table. 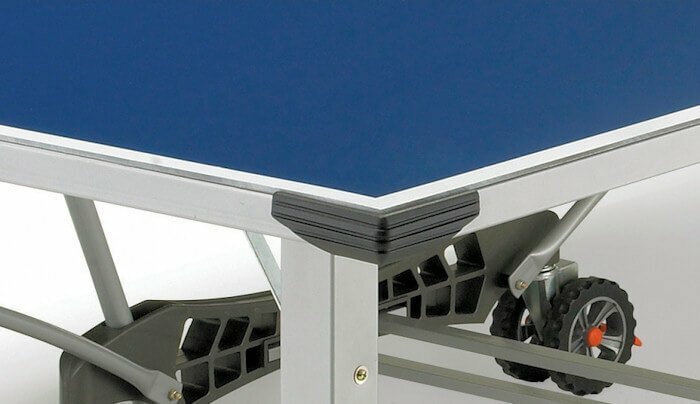 However, the aluminum composite top and heavy-duty galvanized welded steel undercarriage is what's required for an outdoor table.